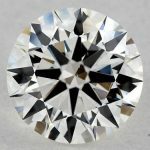 Diamonds 4Cs: What is the Most Important Characteristic of Diamonds? Which is More Important: Cut? Clarity? Carat? or Color? What’s the Order of Importance for the 4Cs together? You may have got a little bit confused? Lost? Read too much online while you’re trying to find What is the Most Important Characteristic of Diamonds among the 4Cs? Or in other words, What’s the Order of Importance for Diamonds 4Cs? While a lot of people will urge about Carat, since it’s the most characteristic that can be seen by naked eye (Yet, not easy to detect differences) of a diamond, but what they (people) don’t realize is that your diamond brilliance doesn’t hold that much influence on the diamond weight! And you can easily see a 1.1 Carat Diamond (like this one) with excellent cut as much greater that 2 carat diamond with good cut, let’s see what matters more in diamond characteristic. 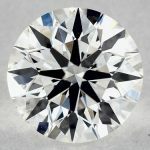 Every diamond characteristic is important, so you should never ignore any of them, but order of importance varies, as each characteristic is a big different with respect to what exactly it means, and how it affects the overall looking & brilliance of your diamond, and keep in mind, a lot of retailers & even online stores (Like James Allen or Blue Nile will give you the first option in sorting diamonds as Carat) will try to sell you higher Carat as the most important characteristic of a diamond. 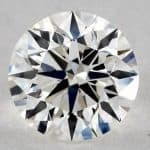 As we’ve discussed in our Diamonds 4Cs section, and covered in a bit of details the order of importance between the 4Cs, we will go today again dive into more details about this, to see why Cut is The Most Important Characteristic of Any Diamond. Carat: Diamond weight, yes, that’s simple, it’s universally agreed that each carat equals 200 milligrams. While it’s physically related to the appearance of a diamond, it doesn’t necessarily mean that you will identify how “big” the diamond is by knowing its carat, because the diamond might has a deep cut, where all weight will not be visible to eye when looking from top! Cool right? See the mage on the left here for visual explanation. One thing to note here: You (or anyone else) can NOT detect a diamond color by just looking at it without comparing it to a known colored diamond next to it, period. Look at these two diamonds, can you spot any difference? Well, the one on the left is D color diamond, and the one on the right is an E! Impressive right? Clarity: A measure of how “clean” the diamond is. Diamonds are natural minerals and as such will often time have certain imperfections, such as small chips, “feathers”, or “clouds” in them, which may or may not effect the perceived beauty of the diamond, clarity is referred to by a letter code ranging from FL for a Flawless diamond to I3 for one that is Included to the naked eye, and similar to color grades, clarity has its own Clarity Grade as well. 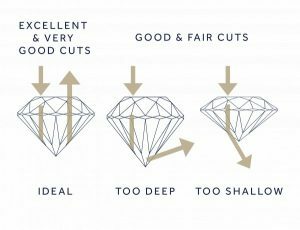 We are not here talking about the difference between diamond cut & diamond shape, that was covered previously, cut refers to the proportions of the parts of the diamond and how well the diamond reflects light. 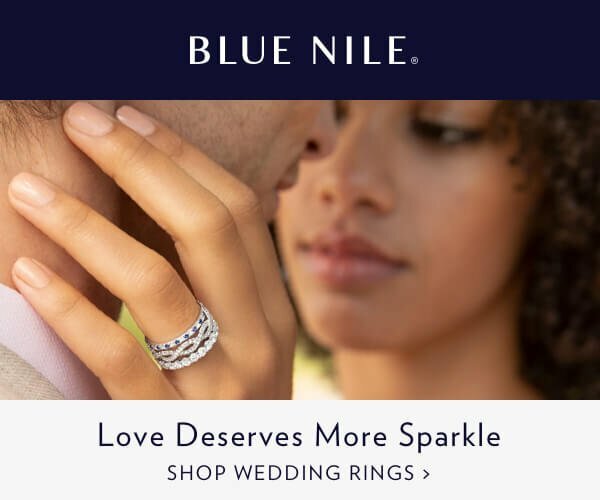 Ever wondered why diamonds are so different in sparking levels (called Brilliance)? Even if they all other factors equal! 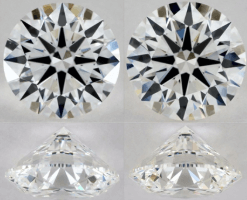 You can get two 1 carat G color SI3 Clarity, but one sparkles way more than the other, why? This image on the right reveals it. In order of importance for a diamond, we’ve already said that Cut is the most important characteristic, and I assume you have figured out why, or at least the reason behind it, but let’s go a bit into more details, and you if want to know the final order, you can jump directly to the Order of Importance for All 4Cs together. Why Cut is the Most Important Characteristic of a Diamond? A lot of people love diamonds because people can easily notice it, and they (diamonds) look stunningly amazing, right? So how you can make people see her diamond? How you can make her diamond more visible? 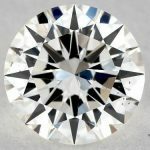 The one thing that makes people look at the diamond is if they saw a light reflection to their eyes coming from the diamond, what determines that? Do you know that a 2 carat diamond with great clarity and colorless grade might not reflect light as you think? Because simply it has a poor cut, light comes in to the diamond and pass-through it, it doesn’t get reflected back through the pavilion facets, look at this image on the right for some details on a round cut diamonds parts. So if you want to make sure that light reflects well, we need to make sure that facets proportions are being “cut” in a good way that reflects lights when it comes through it. All other factors (Carat, Clarity & Color) are not mainly a choice of someone, and craftsman has no influence or ability to change that (to some extent), but Cut and only cut is dependent on the craftsmanship applied in cutting the facets of the stone. The artisan attempts to cut a diamond to make the best use of light so it reflects to the best angles. When a diamond is Cut to good proportions, light is refracted from one facet to another, then dispersed through the top of the diamond. When a diamond is Cut too deep, some light escapes through the opposite side of the diamond. If the diamond is Cut too shallow, light escapes through the bottom of the stone before it can be reflected. In addition, the facets must be placed with precise symmetry for maximum brilliance. The point is, to be exceptionally beautiful, a diamond must be of high quality in all 4Cs. But without the cutting craftsmanship of a master artisan, a rough stone will never release its maximum brilliance and beauty no matter how good its color and clarity. So pay extra attention to Cut. And because the quality of the diamond is so important, you should buy the diamond first before a setting or a necklace. Okay, Cut is Important, What to Look For? Good question, actually it’s great one! 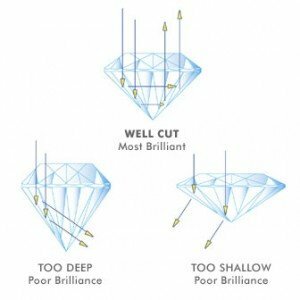 Because jeweler will try to sell you the highest cut possible by convincing you that “Higher is better”, this is not always true, and not only to cut, it applies to other Cs as well, but let’s focus on our most important characteristic now, and then we will go see the Diamonds 4C’s Order of Importance. In total there are 7 measurements that contribute to the cut but the 2 most important are table and depth. The table is the large polished part of the diamond that faces up and the depth is the total. The rule of thumb for Table & Depth says that you should look for 60/60, what this rule states (its really more of a general guideline than a rule) is that you should look for a diamond with a table of 60% and a depth of 60%, or slightly higher/lower, the more you get to 60, the closer to a great cut you’re getting. 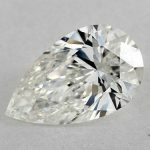 Generally speaking, on any GIA or AGS Certificate, looking for a “Very Good” grade is a good & recommended approach, it offers a wide selection of diamonds and great sparkle. Note that if you’re looking for a superior brilliance, jumping a little up to Excellent will probably help, and get you more brilliance, but the “Very Good” grade is really very good one, and one thing to consider: this “little jump” from a grade to another is not like jumping a grade in diamond colors for example at all, price difference is not small, as well as the effect, because as we said, getting G color or H will not make a difference to your eyes as you can’t tell the difference if you saw each diamond as standalone, but in cut, it’s more noticeable. Which is more Important, Color Or Clarity? Is Clarity or Cut or Carat more important than others? 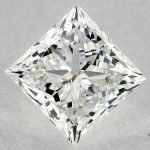 What’s the order of importance for the 4Cs in any diamond? We’ve discussed and covered in details why Cut is the #1 C in order of importance for your diamond, so what comes next? Do you see? Getting Choosing between G or H, or between I o J doesn’t make any noticeable difference! But if you want to choose between F or G, I highly recommend that you read my article on How Diamonds Are Priced? So you guessed it, Diamond Color comes second in order of importance for any diamond. I think you’ve been thinking about this since you started reading this article, where & when comes the carat! It’s the most important thing in any diamond! Why there is no mention for it until now? I’m not telling you carat doesn’t matter, but what I mean is that you should not get sold to “Bigger is better”, it’s not always noticeable for people’s eyes. Yes, you read it right, clarity comes third, because you want the surface of your diamond to be as clean as possible (with some feathers or clouds as they call them, but most probably not visible to the naked eye). 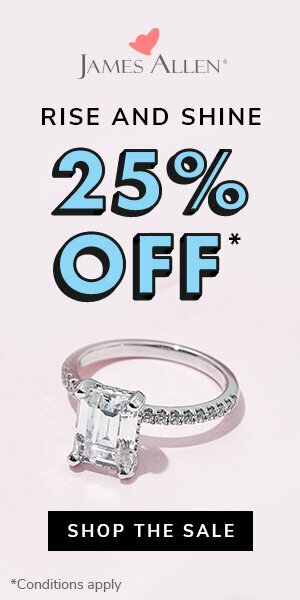 My personal recommendation is that getting a diamond with SI1 clarity is a great choice, don’t get sold to above of this unless you have good reasons for that. 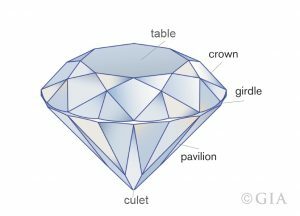 And finally, we come to the 4th important characteristic of diamonds (The #1 in jewelers’ point of view), which is Carat, and I think by now you know why it comes last. 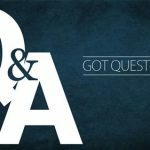 I hope you got all my points on this article, and why I’ve chosen importance on this order, if you have any questions, please feel free to drop me a note/question/inquiry using the Contact Page.